Sadly, allergies and allergic reactions are a fact of life in our busy modern world and around 18 million people suffer from some form of allergy. In particular, Anaphylaxis is a severe, life-threatening, generalised or systemic hypersensitivity reaction. However, we were heartened to hear the following story about a fourteen year old boy in a local school. Peter Brown, not his real name, is severely allergic to bee and wasps stings. At the start of last year's glorious summer, he was playing in the school playground when he was stung by wasp. Unfortunately, this event triggered an anaphylactic shock and Peter collapsed. Fortunately, the teacher on duty knew exactly what to do. She rushed to the staffroom and retrieved Peter's Auto Injectors (sometimes known by the manufacturer's name as an EpiPen or a Jext). She then knew exactly how to administer the Auto Injectors and Peter quickly showed signs of starting to recover. An ambulance and Peter's parents were called and Peter was thoroughly checked over. We were delighted to find out that Peter has made a full recovery. The teacher knew exactly what to do because she had been specifically trained in Anaphylaxis Awareness and Auto Injector Training. Would YOU know what to do? If not, please book our next course on Thursday 5th March in Didcot. 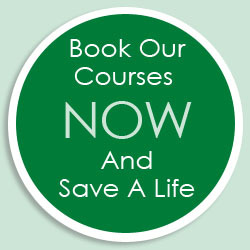 Hi Jane, I just wanted to say a huge Thank You for the First Aid Course that I attended in Didcot. 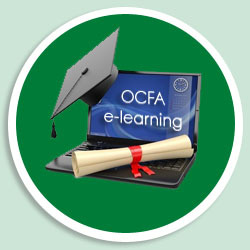 I found it excellent, as usual, and Diana was a wonderful instructor. I look forward to repeating it with you again in three years time. Unfortunately, current statistics report that someone suffers a life-threatening heart attack in the UK every 2 minutes and the difference between life and death can only be a matter of minutes. The quick and correct use of a defibrillator can save someone's life. When a heart attack is taking place the heart is de-stabilised and begins to ‘fibrillate’, contracting many times a minute. This prevents the normal flow of essential blood through the heart. Our new best of breed defibrillator, the Defibtech Lifeline self-assesses the condition of the victim and verbally instructs the user. Where appropriate it will shock the heart back into its normal rhythm but, being an intelligent product, it will not shock unless required. This month, we have a special offer on a defibrillator purchase plus staff training package. If you order this package before February 28th 2015, we will supply a defibrillator complete with full training for up to 6 people for only £1299 + VAT. Congratulations to Julie Bristow of Didcot Manor School., as she won a PAEDIATRIC FIRST AID KIT in our last competition for correctly answering that Speedo International are best known for manufacturing swimwear. This month, we have a £50 Voucher to spend on a meal for two at the fabulous Beetle and Wedge Boathouse located on the banks of the river in Oxfordshire's Moulsford-on-Thames. "Under what circumstances would you use a defibrillator?" Email your answer and contact details to Jane at: info@ocfa.co.uk and we'll draw one lucky winner from the correct answers on Friday 20th February 2015.